There are dozens of vegan powder and liquid foundations on the market, but what if you want something with a little more coverage? Whether you're looking to spot-conceal, hide pigmentation imbalances, or simply like a creamy formula, sometimes the ordinary foundations won't cut it. Cream foundations are versatile products, but they are often hard to find in gentle formulas - let alone vegan versions. Fortunately, Au Naturale offers a Creme Foundation made with organic lavender oil that is gentle and offers full coverage. Au Naturale's Creme Foundation is a creamy formula that melts on contact with skin. The recommended application method is with a brush such as their Creme Foundation Brush. However, I also achieved a successful application with my clean fingers. I recommend using a face lotion or a moisturizing foundation primer before applying this foundation for best results. The cream offers nice, full coverage, but you can apply it thinner if you want more of a medium coverage look. 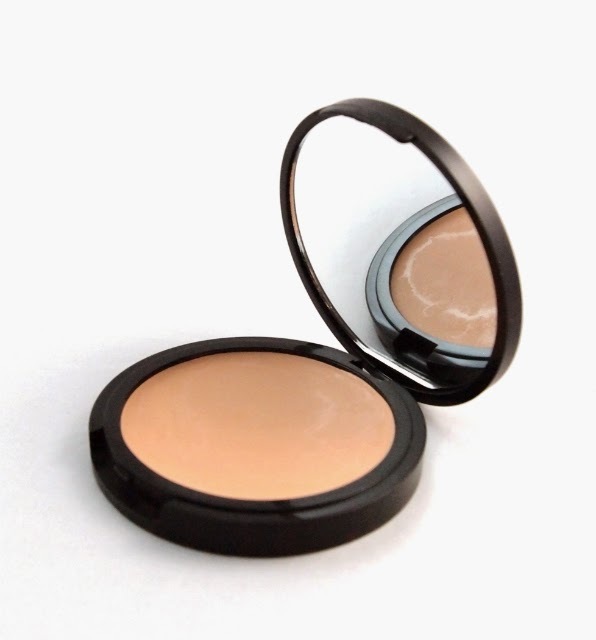 It has the consistency of my favorite cream concealers, and it can double as one if desired. I recommend setting with a powder foundation or a finishing powder for longer wear. As of the time of this writing, there are nine shades available. The Porcelain shade is surprisingly fair, and Sand is also quite light. From the colors I tested, the shades tend to be more on the neutral end (not particularly warm or cool). I think I fall somewhere between Porcelain and Sand, and I'm usually in one of the lightest shades in most lines. The formula is quite gentle, rating a low 1 on the EWG Skin Deep database. There also two organic ingredients. It's uncommon to see such a gentle cream product, as many contain harsh preservatives or other additives. It's hard to get much purer than this. While Au Naturale doesn't have a huge retail presence, they do have a great website and friendly customer service. It feels like there's a real human touch behind the business, and a passion in the products. While full-sized foundations are $38, you can test out multiple shades using their affordable samples. There is also free shipping with a relatively low purchase ($40). 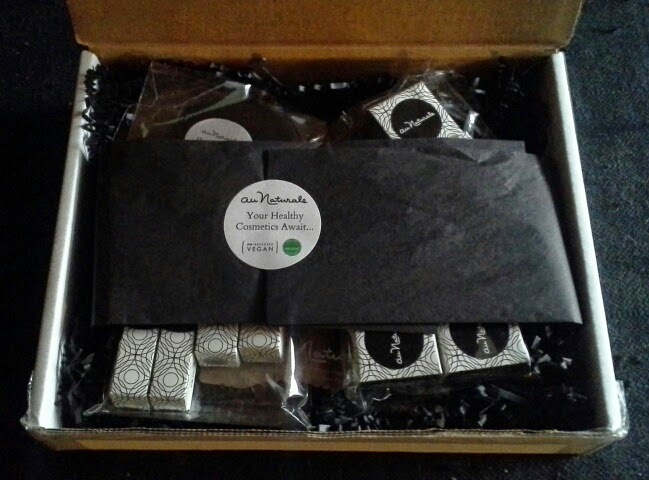 They also have great presentation, from sleek black packaging to a stylish website. The founder personally produces each product and believes in social responsibility, which is well worth supporting. If you're looking for a gentle cream foundation from a highly ethical company, check out Au Naturale. I'd love to give Au Naturale's foundation a try. How is its longetivity? How does the product I've compare to other foundations/concealers you've tried? I would say it has moderate longevity, for a natural product. It will probably last well for 4-6 hours, but you'll want to make sure it's set with a powder for best results. Also, use a primer and set with a finishing spray for longer-lasting results. :) The performance is consistent with other natural products, but slightly less than long-wearing conventional products (due to the use of gentler ingredients).